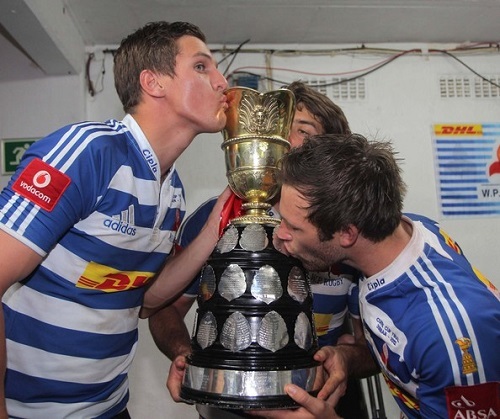 The ABSA Currie Cup final takes place this Saturday at Newlands down in the Cape. The two best teams have battled the way to the final. Ahead of what should be a titanic battle, we thought that we could chat to one of the players that would be playing. Louis Schreuder has featured for Western Province in more than 50 Currie Cup games. His career has seen him rise from the Paarl Gimnasium days through Western Province in the various age groups and South African junior sides. His form was so impressive that he joined the Springboks on the year-end tour and is now poised to play in his third successive Currie Cup Final. 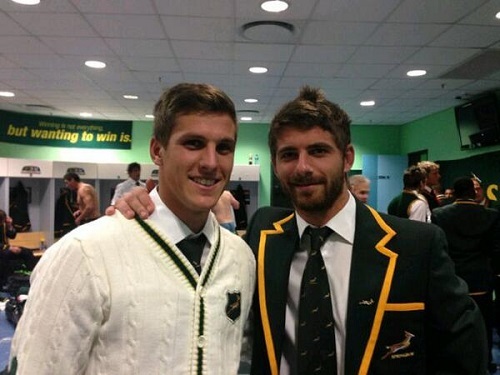 We chatted to the diminutive scrumhalf Louis Schreuder about all things rugby. Louis: People definitely have the wrong perception of what rugby players lives are really like. It’s not all a walk in the park as there is a lot of hard work behind the scenes. We spend a lot of time training and performing analysis. It’s like any other full-time job. Jabu: How does your preparation change for the Currie Cup Final compared to other games? Louis: You know you have a chance to bounce back in the round robin games, so it’s a slightly different mental approach. You know that you need to be more clinical as if you mess it up then its a one chance thing. During the week our training sessions are a bit shorter to keep energy levels high for the final. We also have much more focus on the mental side rather. Jabu: Having toured with South Africa, how desperately do you want to wear the green and gold again? Louis: That’s the big dream. It was a real privilege to tour with them and I would love to play for Springboks as that is the reason you play rugby! Jabu: What are some of the worst injuries that you’ve had in the past? Louis: I’ve been fortunate to have no serious injuries. I have had a few minor injuries with torn muscles. And earlier this year I broke my hand. But touch wood that’s been the worst so far. Louis: It depends. We are covered by Western Province, if we get injured playing for them. Contracted players still get paid for 6 months. We are also covered by a great medical scheme (The Chris Burger and Petro Jackson Fund). Most players will also have some sort of life insurance cover in case of very serious injury. Jabu: How did going to Paarl Gimnasium prepare you for the life as a professional sportsman? Louis: I definitely was at one of the best rugby schools in the country. We had an unbeaten team in 2008 which was amazing to be part of. It also meant that I was fortunate enough to come through the WP Structures from Under 16. Jabu: Who was your idol/idols in World Rugby growing up? Louis: Christian Cullen – the way he used to carry the ball was immense and he was definitely someone I loved watching. From a scrumhalf point of view my favourite was Justin Marshall, but also obviously Joost as a proud South African. Jabu: What is the highlight of your career so far? Louis: The best things that have happened in my career was touring with the Boks last year on the year-end tour and of course winning the Currie Cup final in 2012. I’m hoping to add the 2014 Currie Cup Final to this as well! Jabu: Would you ever consider a stint in Sevens with a view to playing rugby at the Olympics? Louis: I think Sevens is more focused area now for guys and they have a great professional structure. There are a lot of great players and I don’t think Sevens is for me. That being said I loved playing it well I was at school. Jabu: If you weren’t playing rugby, what would you be doing? Louis: I would be definitely be studying still. I would love to have a degree and honours. And who knows, maybe a career in business somewhere. Jabu: What’s your preference: Would you rather start a game and get subbed off or come on in a tight game and finish it off? Louis: Everyone wants to start a game. I think I would love to start the game as well as finish it off in the ideal world! When you are on the bench you play your role for the team that you have to, but it can be a very nervous wait before you are on the field. Jabu: Where can readers interact with you? Louis: On Twitter as well as on Instagram. Jabu: Thank you so much! Good luck for the final and hopefully we will see you in gold soon! It was a pleasure interviewing Louis Schreuder and getting the inside story of a day in the life of a Western Province Rugby Player – from what he mentioned, it takes a lot more to be a pro rugby player and refining and nurturing skills and the strategy for the game, seems to play a big part. As a contact sport even though players are covered quite well with the provided insurance, it seems that even he would recommend additional life insurance in the case of serious injury – a side note to us all of it’s importance. I’d like to thank Louis for taking the time out of his day to have a brief chat with me. And ‘May the Force be with him on his up and coming match.